Bending of pipes and profiles – ITB Engineering & Production s.r.o. We offer bending of pipes and profiles from both classical and structural steels of various sizes on machines of new generation. 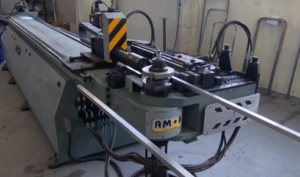 These machines work with the utmost precision and make it possible to produce almost any shape.